Our locally owned company never contracts out labor to other companies and our business takes pride in doing what we do. We do full-time lawncare and Tulsa Christmas Lights installation for the people that are looking to have a lawn is a cut above the competition. We want you to have a happy holidays this year and a Merry Christmas, and we want you to start by doing the right thing and calling Green Leaf Lawn for your installation needs. 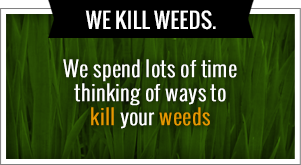 Our phone number is 918-640-6405, or you can visit us online at www.greenleafweedcontrol.com today. We service the Tulsa, Oklahoma area when it comes to all of their Tulsa Christmas Lights needs. We also take care of lawncare needs in every season around the year. No job is too big or too small for our experts. We are fully licensed and insured and have hundreds of commercial and residential references in the area. If you’re looking for lawn care, seasonal lawncare, or Tulsa Christmas Lights installation, you have definitely come to the right place. We are the service provider of choice for top companies like Mathis brothers, outback steakhouse, and a variety of other organizations. 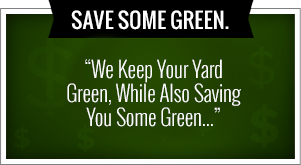 See what Green Leaf Lawn can do for you by taking up the phone and calling us today. Jamie Nix and Josh Mathias started this company with the vision in mind to provide some of the very best lawncare services available. We started back in 1998 and we have been growing ever since. Our company of native Tulsa Oklahoma residents believes that the city of Tulsa can be more beautiful than ever before with the proper lawncare and Tulsa Christmas Lights display services. With our knowledge and skill in Turf Enhancement Engineers, we can help make sure that your lawn is one of the best in the area. This is one of the main reasons why Green Leaf Lawn has been so successful in recent years. Feel free to give us a call today and set up a time where we can, and give you an estimate on all of the services we can offer your lawn and home throughout the year. Part of what we do is called turf enhancement. Our Turf Enhancement Engineers focus on making sure that Green Leaf customers receive only the top quality lawncare every single time that we do business. Jamie Nix and Josh Mathias are known throughout Tulsa and the surrounding areas as being some of the fastest weed killers in the South. Have confidence in your mind that Green Leaf lawn care is the right choice for your home and your families lawncare needs. We are equipped with all of the right chemicals and the right people to make sure that your lawn is healthier than ever before. Even though we offer a wide variety of seasonal services to the people of Tulsa, we are first and foremost a lawn care provider. Our Turf Enhancement Engineers will make your lawn beautiful one day at a time. We are certified by the Oklahoma Department of Agriculture and we are equipped with proper licenses to bring you only the top Tulsa weed control services available. If you want your holiday display to be more stunning than ever before, call us and let us get to work for you. Green Leaf Lawn can be reached at 918-640-6405. We have professional specialists that are on call and carefully trained and insured professionals. We will come to your home and we will give you a free, no obligation holiday lighting plan to fit your budget and your specific needs. Green Leaf Lawn is different because we use only the finest materials available including premium weather resistant lights, fasteners, electronic digital timers, and much more. For a beautiful accent that will tell your neighbors just how much you care about the holidays, trust the best and call Green Leaf Lawn today. We will also take down all of your decorations after the holidays and store them for you until next year. Our all-inclusive decorating services include everything you need to really bring in the holidays in a memorable way. Trust the professionals at Green Leaf Lawn just like top companies and homeowners around the Tulsa area do every year. We have a reputation for quality and service that you’re not going to find anywhere else. Our company was founded by Jamie Nix and Josh Mathias. They have been working for the past several years to change the way the people of Tulsa think about lawncare service and Tulsa Christmas Lights. We started working in the industry many years ago and has since grown our business into one of the most well-respected lawn treatment and holiday light specialists around. Some of our clients include Mathis brothers, outback steakhouse, and other homeowners and businesses across Tulsa. Jamie is a graduate of the University of Tulsa and has a sincere passion for assisting people to beautify their lawns and homes. We specialize in a great variety of services and procedures, but our main focus has always been on lawncare. If you’re looking for lawn maintenance, lawn mowing, mulching, and just about anything else, you can find it and more at Green Leaf Lawn. Let us show you how our passion can transform your home into a beautiful and serene place. Tulsa Christmas Lights are here to stay and we do it in a way that shows we truly care about how great your home and your lawn can look during the holiday season. All you have to do is relax and enjoy your family well we do the hard work making your home look more incredible than ever before. Get the holiday spirit in Tulsa and let us show you how great our services are. Not only do we take care of your Tulsa Christmas Lights needs, but we also do weed control and fertilization as well. It’s important to give us a call and see what we can do to make your home look more incredible. Our website is www.greenleafweedcontrol.com, and it has all the information you need to select us as your service provider of choice. Pick up the phone and call us today, we can’t wait to get started on your homes specific plan of action to make it look more incredible than ever before.